Autism A to Z will be hosting a very special autism awareness event on Saturday, April 23, 2016. Called Celebrating Life on the Spectrum, it will feature poetry and prose dealing with autism spectrum disorder read by Bay Area authors Connie Post, Anne K. Ross, and Cynthia J. Patton. 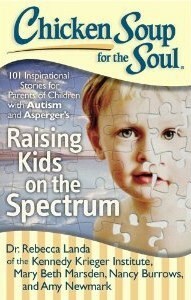 Marilyn Kammelgarn will join them to read selections from Chicken Soup for the Soul: Raising Kids on the Spectrum. Connie Post was the Livermore Poet Laureate from 2005 to 2009, and is the author of Floodwater, When The Sun Drops, and Trip Wires. She hosts the Valona Deli Poetry Series in Crockett, California. Anne K. Ross is an award-winning writer and school psychologist. She recently published Beyond Rain Man: What One Psychologist Learned Raising A Son on the Autism Spectrum. Cynthia J. Patton’s award-winning work has appeared in twelve anthologies, including the best-selling Chicken Soup for the Soul series, print and online publications, and her blog, An Unplanned Life. Her poetry collection, Across An Aqueous Moon: Travels in Autism, is forthcoming from Finishing Line Press. She is completing a memoir on her unconventional journey to motherhood. The free event will take place on Saturday, April 23, 2016, from 7:30 to 9:30 p.m. at the Bothwell Arts Center, 2466 8th Street in Livermore, California. A book signing will follow the reading. Proceeds from the event will benefit Autism A to Z.